As we begin the rollout of DejaOffice PC CRM, some of the pioneers of small business Contact managers are on my mind. A caller this week mentioned Ecco Pro, which was a very popular program back in the mid 1990s. Ecco Pro as I recall was built on a foundation of an outline manager. Originally it was only an outliner. 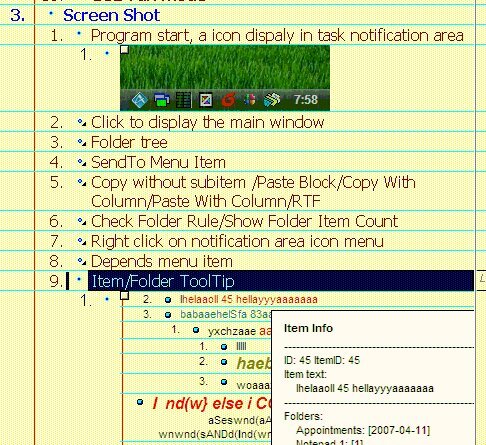 As it grew, there was a Contacts, Calendar, Task and Notes application. Originally published by Arabesque software, the company got purchased by NetManage in Seattle. I don’t recall that it was very expensive at the time. Maybe $99 or $59 or something like that. I never used it. At the time we were working primarily with TeleMagic (DOS) and GoldMine (DOS). Both TeleMagic and GoldMine used dBase II format files, an so it was easy to make add-on products. Ecco had a proprietary file format. By 1997 Ecco Pro had about a million users. Inexplicably, NetManage closed down the entire program. There were rumors for years that someone would buy it, but no on ever did. Ecco died a corporate death; sold to a company that did not know what they had. Douglas P. Rice has a great writeup about being hired by NetManage just before the big fccollapse. We don’t often think about how software was sold before the internet was commonly used, and it’s funny to read that they did not ship product updates online. A decade after Ecco went off the market, the Ecco User’s Group approached CompanionLink to write a sync to Phones at that time (BlackBerry, Pocket PC). I was staunchly against it. First, there is no API. Second, the user base could not grow; only shrink. The CompanionLink Meme is to provide free telephone technical support to our customers. Some call this foolish, but I feel that many people need the help from time to time. But I don’t want to get caught getting unlimited phone calls for an unsupported product. For those that wanted Ecco Pro to be a Contact Manager, we finally have a new product for you. 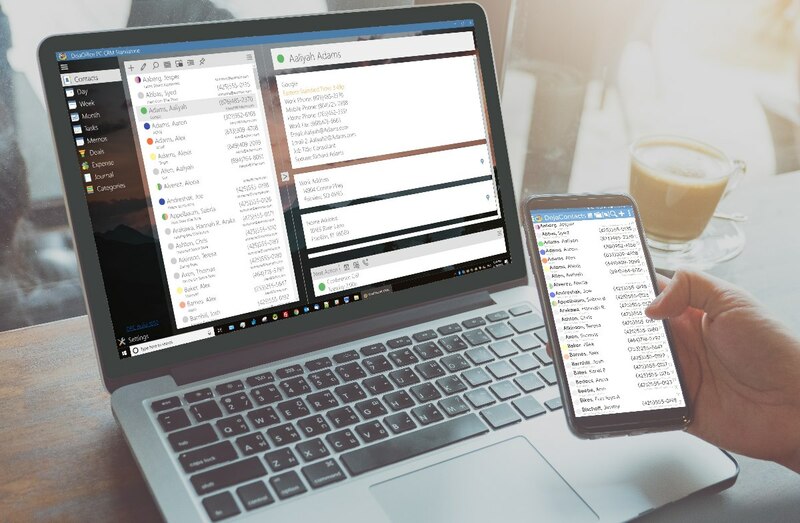 DejaOffice PC CRM Standalone will handle Contacts, Calendar, Tasks and Notes, and synchronize them easily to Android and iPhone. At $49.95 we hope it can be a worthy successor to this industry pioneer.